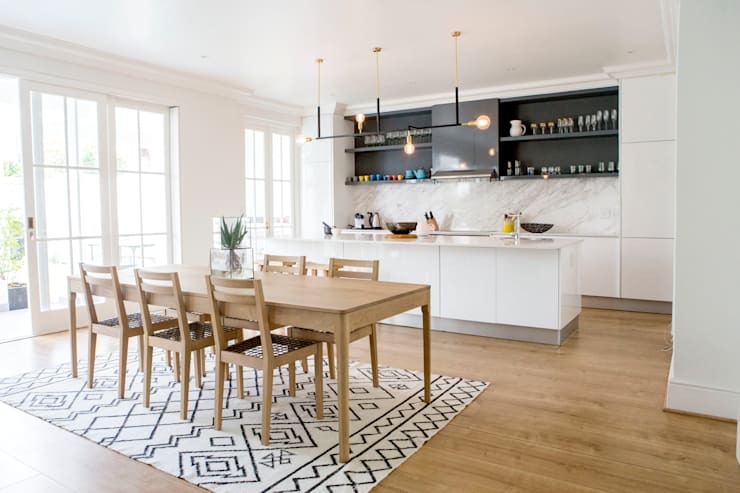 Question: What do you do when your new house, styled in the traditional heritage look, requires a full interior refurbishment and furniture fit-out? 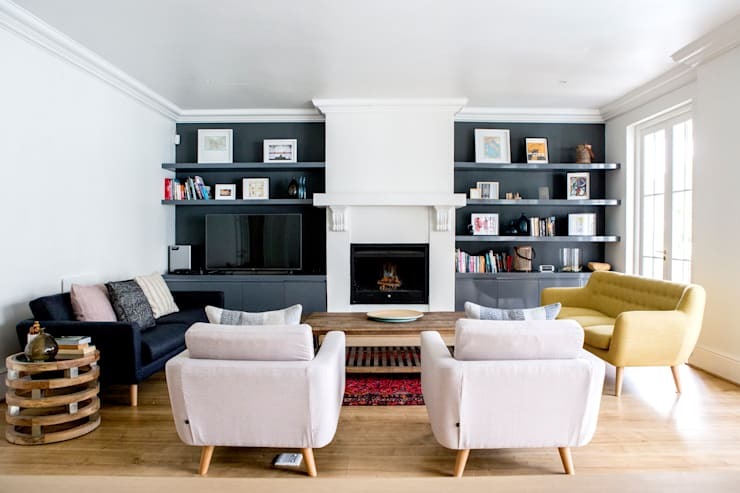 Answer: You contact professional interior-design team Attik Design – or rather, that is what the new homeowners of a heritage home in Oranjezicht, Cape Town, opted to do. And judging by what the designers accomplished, we’re willing to bet this lucky duo is most pleased with the results. So, what can we expect from the new look? Well, the interior was opened up to create a seamless flow between in- and outdoors. And together with large, full-height sliding doors and magnificent ceilings, the house is now filled with bright, natural light. The existing garden was gutted and re-designed with the help of an expert landscape artist. And even though we have no idea what the old garden used to look like, we give full marks to the new one. 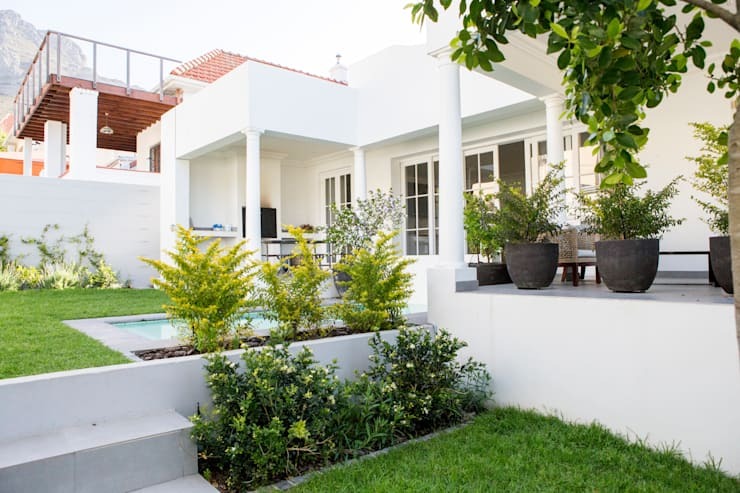 Just have a look at the clean, serene and subtle style of that outdoor space – most Scandinavian in appearance. The snow-white walls (and pillars and floors) contrast so well with the lush green lawn and plants, as well as the cool ice-blue hues of the little splash pool. Let’s check out what’s happening on the inside! 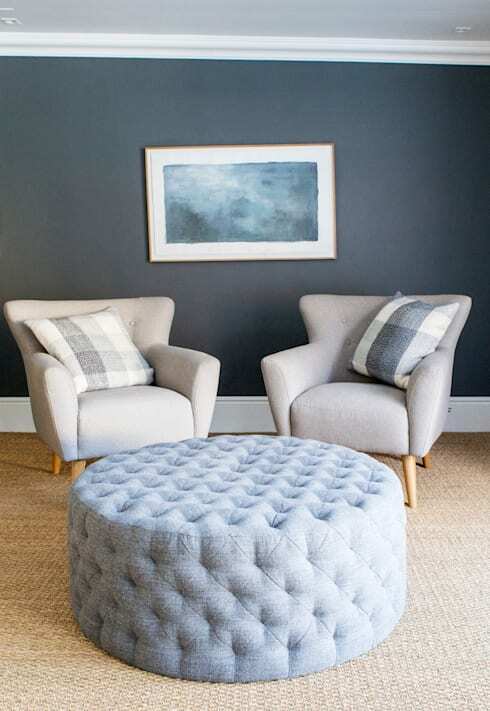 The style of the home was modernised by contemporary contrasts of fresh whites with dark charcoal accents, bold colour pops and striking patterned rugs – and all that is visible here in the living room, which seems to be the perfect spot for both a social gathering with friends, and for when the new homeowners just want to spend some quiet time alone. Post-renovation, the clean, contemporary kitchen (complete with oversized central island) became the social hub of the house – and we can definitely see why! How easy is it to picture a myriad of friends at that wooden dining table, chattering away while the main course is being finalised in the kitchen? Have a look at the new custom-designed light fittings, which are more like art pieces than mere illuminating fixtures. The neutral colour palette takes a break here in the informal living room, which treats us to a serene selection of cool hues – ‘thunderstorm blue’ and ‘blue chill’ seem to be the main tones in here, beautifully adorning the wall and upholstered ottoman, while the patterned cushions on the plush-looking armchairs add the necessary motif and smoothness. Last but not least, the bedroom, which also treats us to a dash of bold colour and lush fabrics, made even more welcoming by the bright light streaming in through the glass doors on the left. 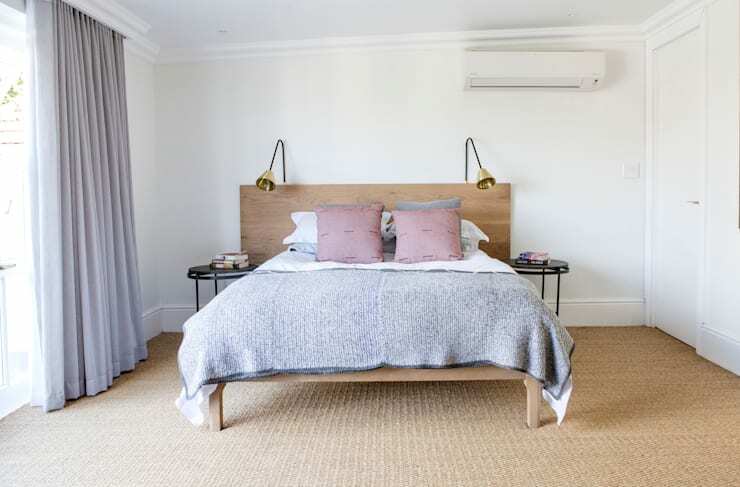 However, our favourite piece in here has to be that timber headboard, which adds to much pizzazz (and a slight rustic touch) to the otherwise clean and serene-looking bedroom. And speaking of headboards, enjoy these 14 bedrooms with beautiful headboards (and they're easy to copy!). How do you feel about this house’s look and layout?